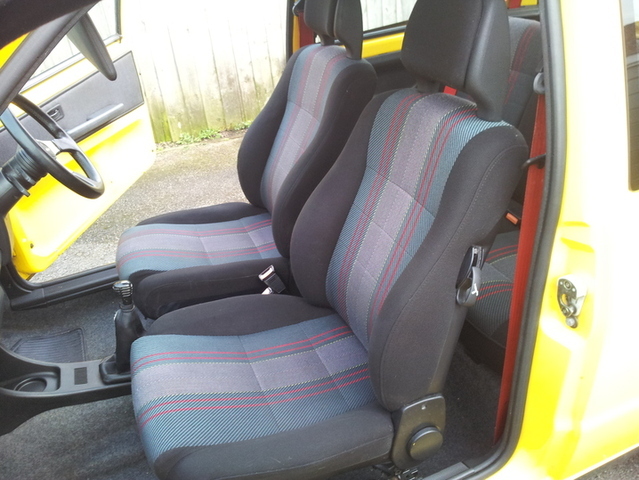 The first job today was to give the seats a final wipe over with some Autoglym interior shampoo, this was purely to remove any remaining water marks and stubborn stains. 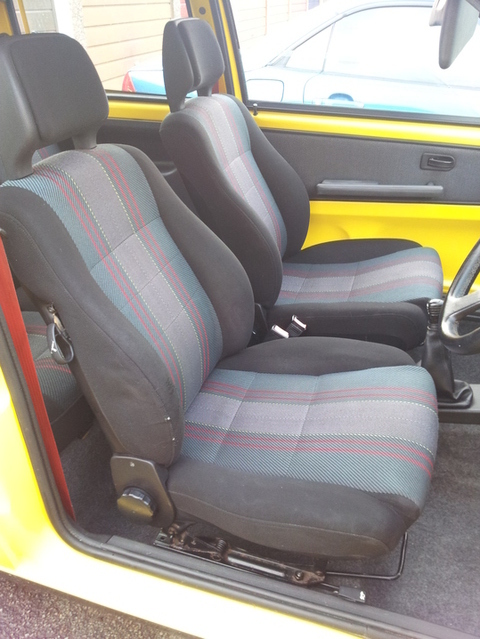 For the time being I have put the seats back in the car as garage space is in short supply, they will have to come out again when I do the welding. Looking good though, I’m very happy with the outcome. 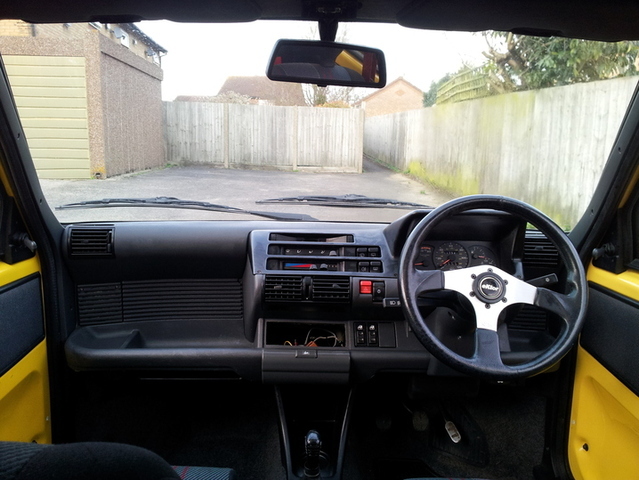 The dash got a clean, as well as the carpet followed by a quick hoover. I do want to replace the dashboard as the passenger side shelf area has it’s fair share of scratches. Also the steering wheel is going to be replaced with a nice genuine Fiat one. I will also get a nice head unit at some point but this is quite a low priority. 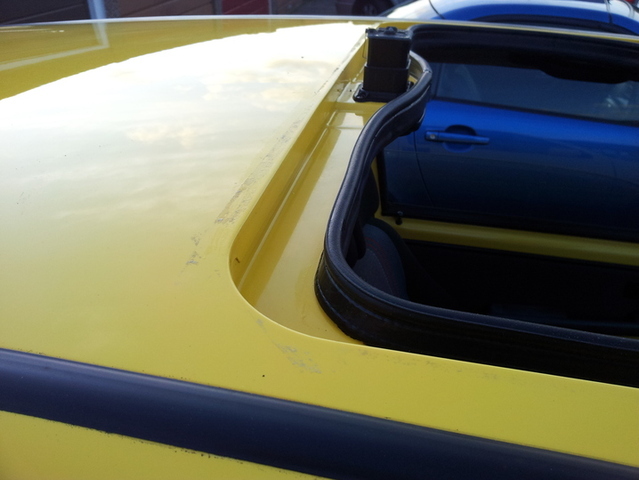 I get the impression that the sunroof leaks as there was a load of tape covering the edge stopping it from opening. The majority of the tape came off when I cleaned the car, but I do need to get something which can remove the sticky mess left on the paint. 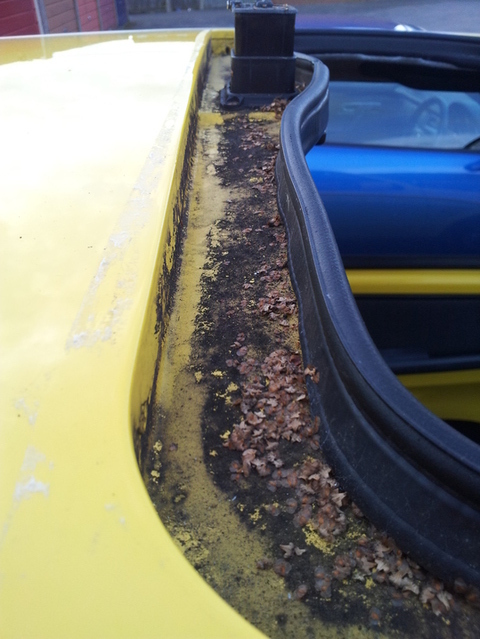 It appears the car was parked under a tree for a while as the amount of little leaves, dirt and grime under the sun roof was unreal ! 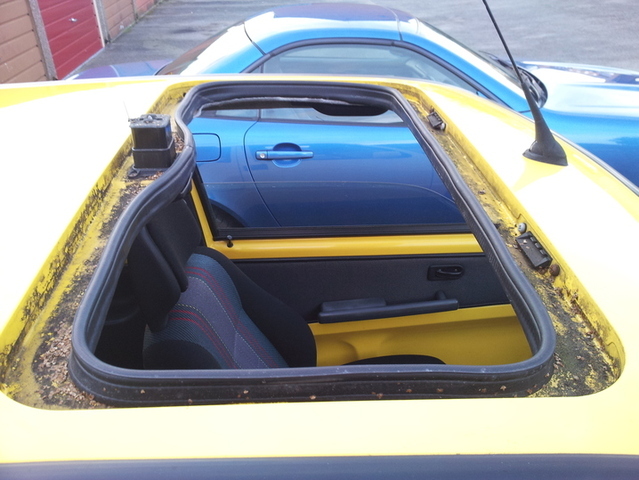 This is how it was after I removed the sunroof. After a bit of elbow grease it came up looking good as new ! I discovered why it would have been leaking as well. All four drain holes were completely blocked ! A few minutes later with a long piece of flexible cable and all the holes were clear and draining away nicely. 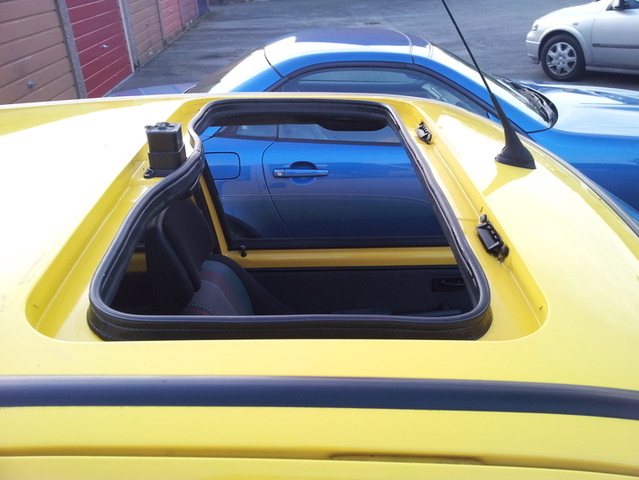 Was a bit fiddly getting the sun roof back in, but got there in the end. If I get some spare time tomorrow I will have another little tinker with the Cinquecento, or I might wash Minty (the green one) as she is currently filthy from last weeks commute.